The first thing you need to do is find a large pot that has a lid. 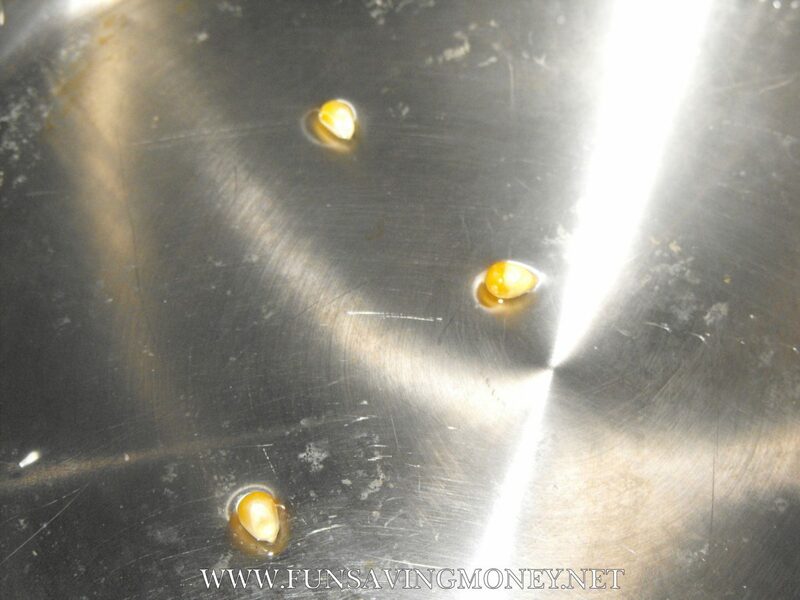 You need a large pot so that there is plenty of room for your kernels to pop up and expand. Next add about 3-4 Tablespoons of Oil make sure that you cover the bottom of the pan completely. I used Canola Oil but you could use whatever you have on hand. Now place your pot on the stove and increase the heat to about medium-high. 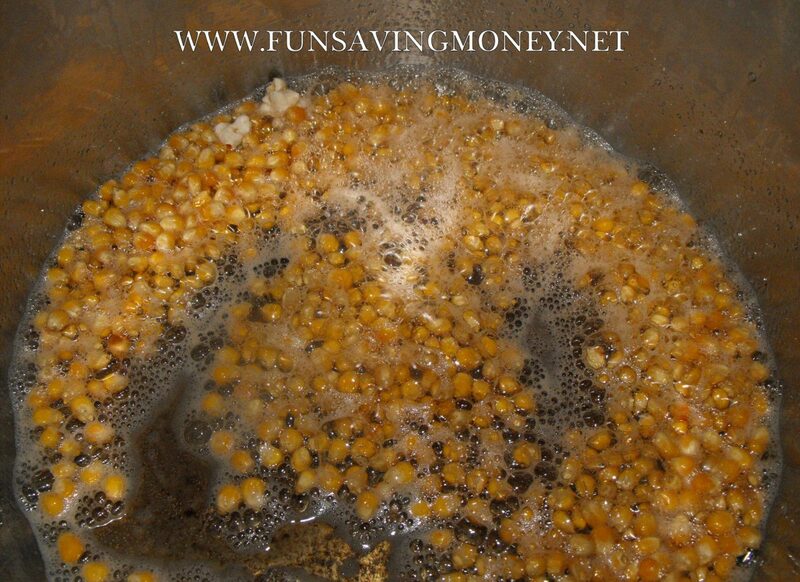 Add 3 kernels of corn to the oil. These will be your test kernels and when they start to pop you know your oil is ready for the rest of the corn. When the kernels start to pop add 1 Tablespoon of butter, a dash of salt for taste and 3/4 Cup of Corn Kernels. Stir well coating all of the corn, and cover the pot. 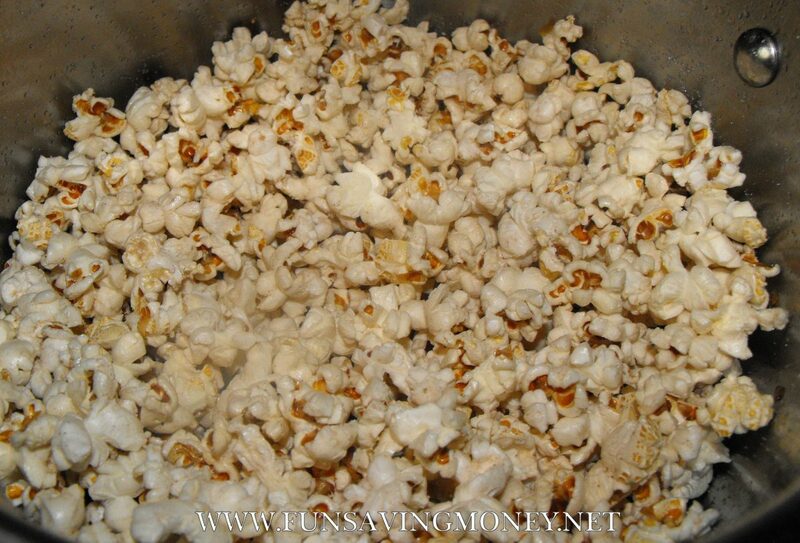 It will only take a few minutes for the kernels to start popping but to make sure that the bottom ones don’t burn you can shake the pan gently back and forth a few times to prevent this from happening. After the popping starts to slow down turn your stove off and remove the pan from the heat. Carefully remove the lid and add the salt. You can add as much or as little as you would like, it just depends on your taste. I also added an extra 1 tablespoon of butter to the popcorn and stirred well for more butter flavor. Once you make your own popcorn you will never want to make it any other way. It’s easy, fun and my kids love helping out when we make it. You can add just about any kind of flavoring that you would like to the popcorn, the options are endless. I hope you enjoy this recipe and I would love to hear what you think. It is so sad that microwave popcorn has become the norm that people have forgotten how to make popcorn on the stove. It really does taste so much better popped on the stove. Yes, it does have more calories, and as it’s said up above, the options are endless to the flavorings. 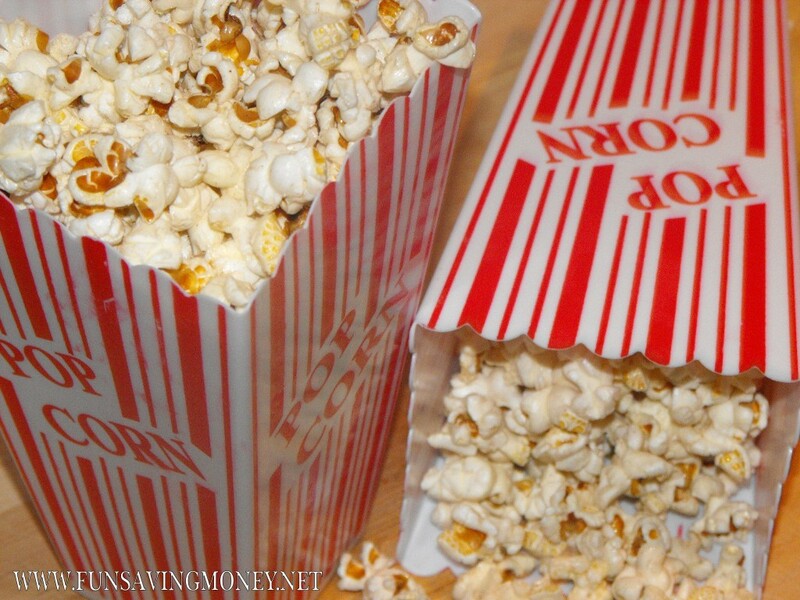 Stove top popcorn is so easy and delicious! The price is good too!!! its funny you post this because i have been looking at a popcorn maker forever! I love doing it the old fashioned way other than a bag. That’s very easy where did you get the plastic popcorn bags from? Betty I found them at Target in the Dollar Bins. My kids love them! I have always done popcorn this way. My son has taken over the popcorn popping duties and he still refuses to eat the microwave stuff.